Ever wonder how hurricanes are named? The tradition can be traced back to the 1800s, when storms were named to honor Catholic saints, and evolved over the years. Researchers are predicting a "slightly below-average" 2019 Atlantic hurricane season, with 13 named storms and five hurricanes. Of those five hurricanes, two are expected to be major, according to the Colorado State University Tropical Meteorology Project. Dr. Philip Klotzbach, hurricane specialist at CSU, presented the forecast Thursday from the National Tropical Weather Conference in South Padre, Texas. Klotzbach said the primary reason for the below average forecast is based on an anticipated continuation of a weak El Niño. Unusually cool ocean water in the Atlantic is also a factor in the reduced forecast. Hurricanes need to fuel from warm ocean water to form and intensify. Hurricanes can be extremely dangerous, with their high winds, heavy rain and storm surge. Here are some tips to make sure you and your family are safe when one threatens. However, Klotzbach warned that there is still quite a bit of uncertainty in the forecast for the season. If El Niño does not continue through the summer, that could increase topical activity toward the end of the season. Last year's active season saw 15 named storms and eight hurricanes including two Category 4 hurricanes, Florence and Michael. 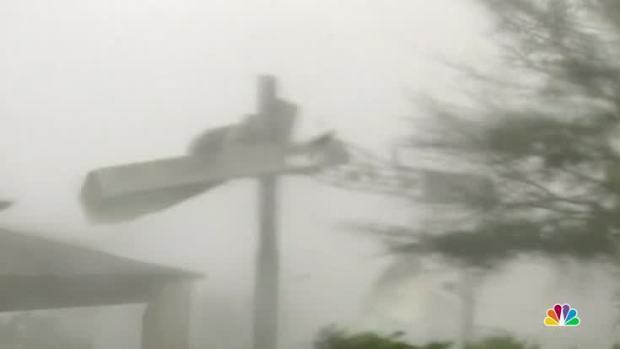 Michael made landfall on the Florida Panhandle as one of the strongest storms ever to hit the United States, with its highest winds reaching 155 mph. The Atlantic Basin annual average is 12 named storms, six hurricanes and two major hurricanes. Hurricane season begins June 1 and runs through November.